They call Missouri the “Show-Me” state. 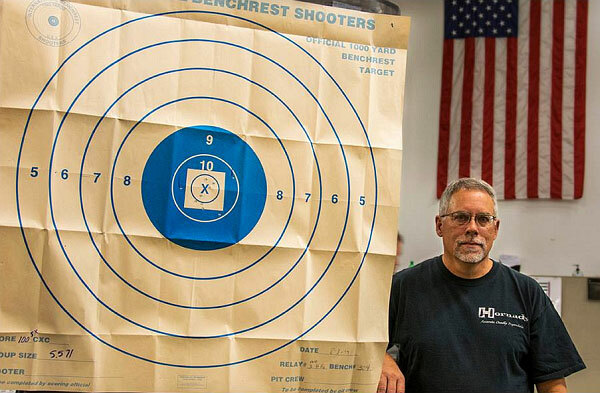 Well here is something to show — a superb 100-5X 1000-yard target shot by Hornady employee, John Potratz, at the Missouri State IBS 1K Championship. This was a 10-shot heavy gun group. The cartridge was a big, .30-caliber wildcat based on the .375 Ruger parent cartridge. The bullet was the 208gr Hornady A-Max. 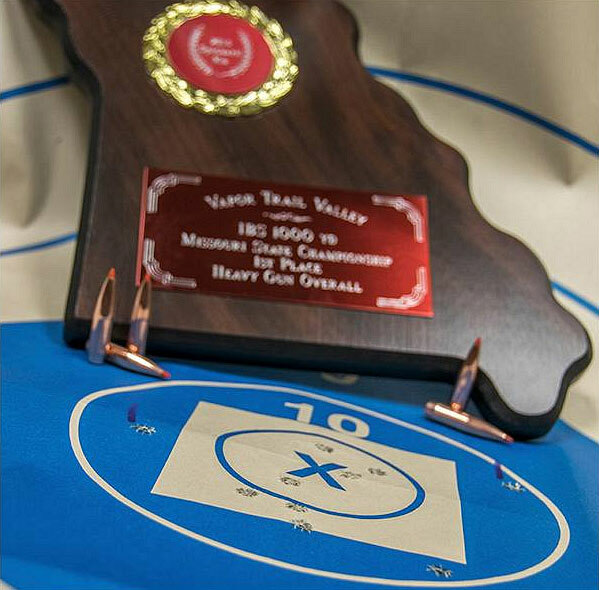 Missouri’s State IBS 1000-Yard Championship Match took place earlier this month at the Vapor Trail Valley range in Spickard, Missouri. Potratz set a new range record in the 1000-yard Heavy Gun Division with this 100-5X score. The group was impressively small as well: 5.571″. That was good for second best Heavy Gun group. With his combined scores and group for the event, John finished first place overall in the Heavy Gun Division (and now he’s got the trophy to prove it). Share the post "“Show Me” Indeed: 100-5X at 1000 Yards in Missouri"
Need primers? Bullets.com is running a sale right now with a wide variety of primer types from all the major primer manufacturers. Millions of primers are in stock now, ready to ship. To make the deal even better, Bullets.com charges just twenty bucks ($20.00) for the Hazmat Fee. You can mix and match primers and powders and ship with the single $20.00, plus actual shipping charges. Here are some examples of in-stock items ON SALE now. Note, with many of these primer types, you can save even more by ordering 5000 primers. For example, if you order 5000 CCI 450 primers the price per box is just $26.55. If you buy 5000 Rem 7 1/2 primers, the price is just $30.56, a significant savings over the $34.65 single box price. 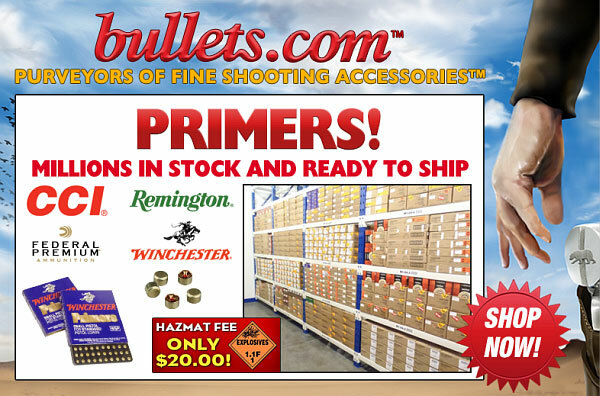 Share the post "Primers on Sale at Bullets.com with $20.00 Hazmat"